Joe Stump Chop Builder For Rock Guitar download. Take your hard rock chops into the stratosphere with Berklee professor and world-renowned guitarist Joe ‘Shred Lord’ Stump. In this master class DVD, Stump breaks down his disciplined approach to scale patterns and practice routines. He’ll show you how to improve your technique and increase your speed, no matter what style you play. All you need is your guitar and a metronome. Stump will help you achieve a greater mastery of the instrument, with routines to get your chops in shape for the intense physical demands of the rock guitar idiom. 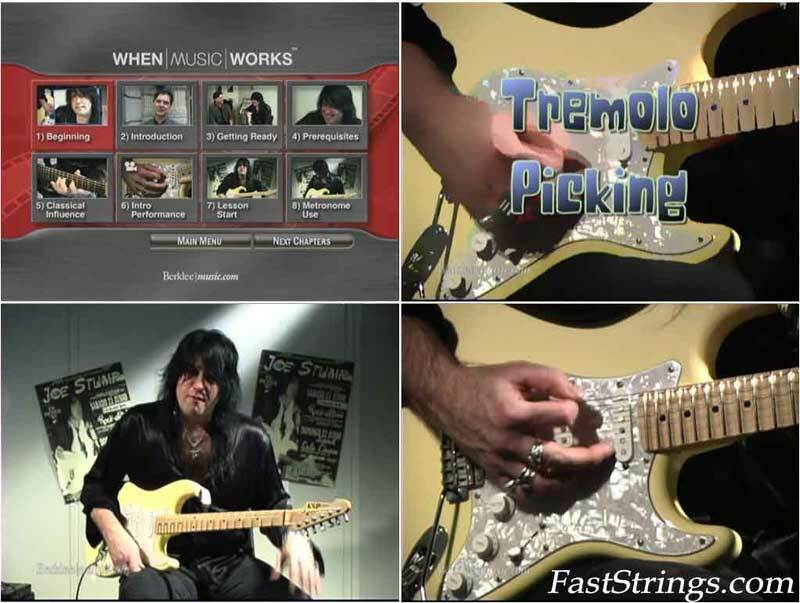 Guitar World – Play Rock Guitar! Does anyone have only the PDF? thank you,but this is not chop builder for rock guitar ! this is shred metal chop builder ! This is a great lesson. More Joe Stump, please! Great…. i try this method . Goog shred to all. totally trippin, it’s totally rippin! !